It seems that revolutions were not that uncommon in 1965. There was the Dominican Republic uprising and the Indonesian revolution and counter revolution. Then there was the less contentious ‘Freedom Walk’ on the Milford Track. It was that sort of action packed year. It was reasoned by some in the New Zealand outdoors fraternity that, because the Milford Track was in Fiordland National Park, there should be no restriction on access. 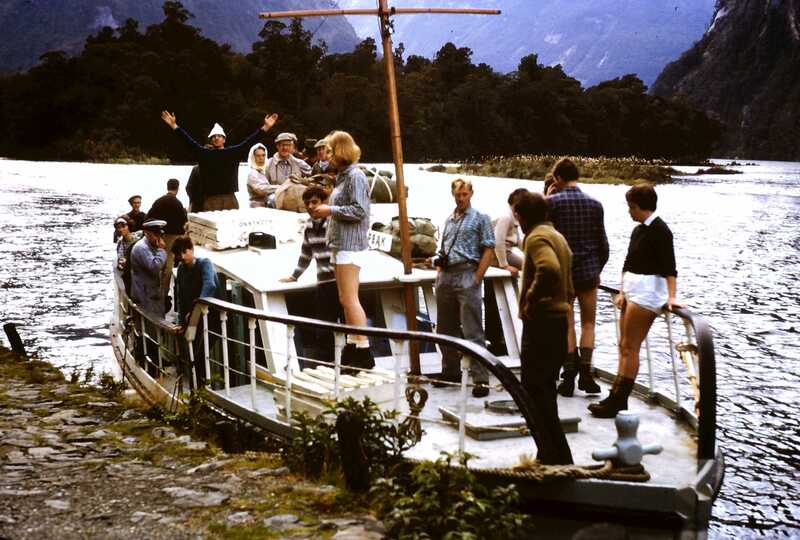 Walking the Milford Track up until that time meant that you had to be part of a Tourism Hotel Corporation guided trip. 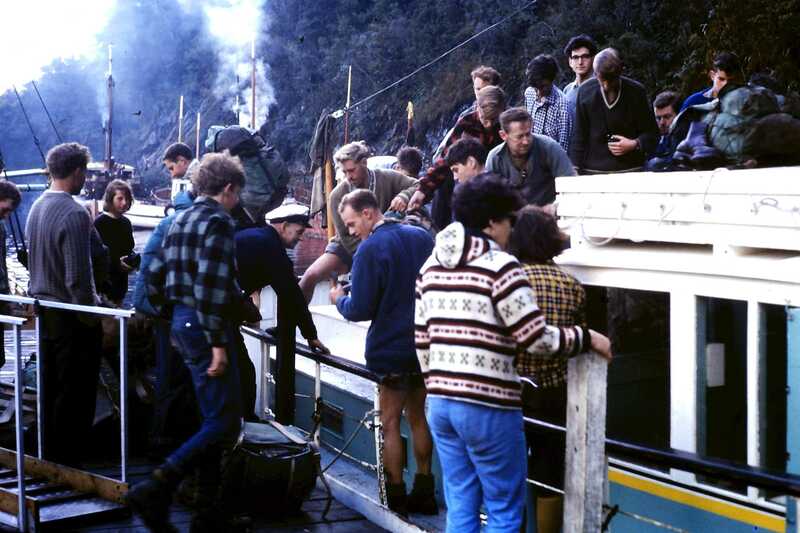 So, a hardy group of Otago Tramping Club members staged a two pronged assault on the track in April (Easter) 1965 to force the authorities of the day to review the status of access to the Milford Track. The plan was for some of the group to ascend Hutt Creek and Glade Pass from the Eglinton Valley. They would then drop in at the head of Lake Te Anau, behind Glade House, and walk through to Milford. The other party went to Milford, planning to do some climbing after walking through to Mackinnon Pass. Soon after the Otago Tramping Club trip, the infrastructure of alternative huts on the Milford was put in place and those are the facilities that we all enjoy today – Clinton, Mintaro and Dumpling Huts. Of course the guided walks are still very much a part of the scene but, since 1966, there has been the freedom to choose how you will engage with the track. Robyn and John were recently on the 125th anniversary walk of the Milford Track. Their pioneering efforts on the Milford Track have opened the way for many thousands of people to enjoy the Milford Track as Freedom Walkers. Viva la Revolution! Keen to know more about Milford?